TRIM off the edges from the sandwiches, then cut in halves. 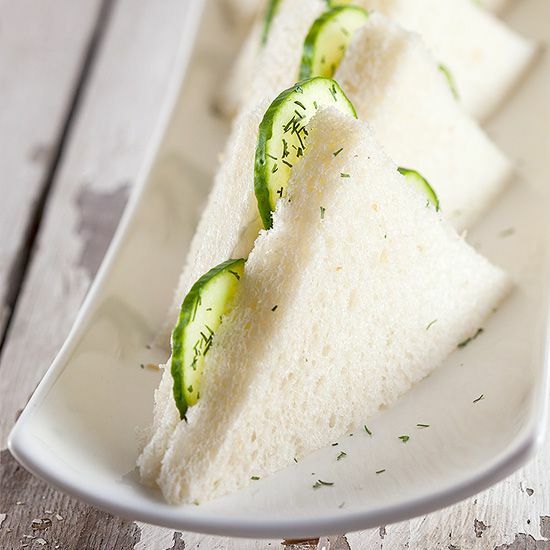 You should end up with triangle-shaped sandwiches. 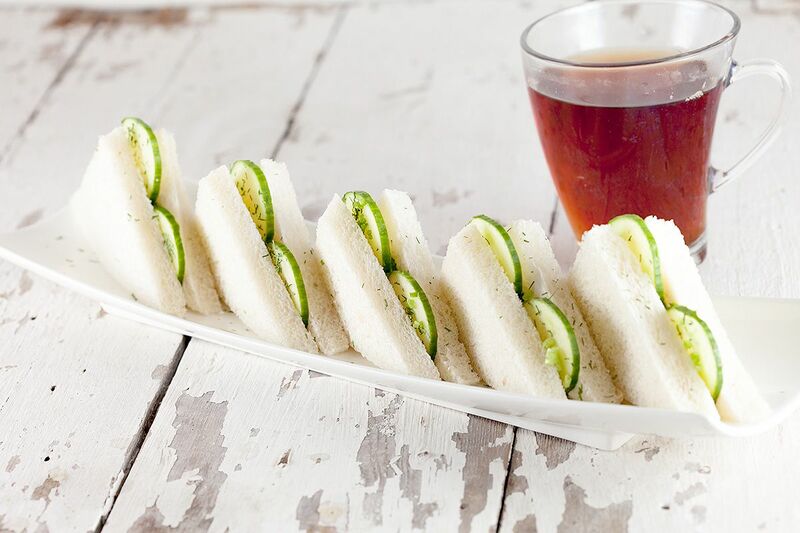 COAT each sandwich with some cream cheese, we’ve used Philadelphia cream cheese for this. 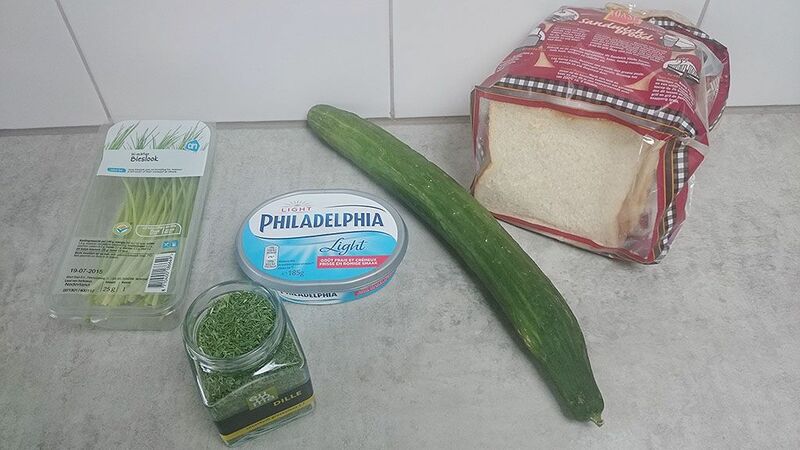 CLEAN the cucumber, then thinly slice the cucumber. FINELY chop up the fresh chives too. 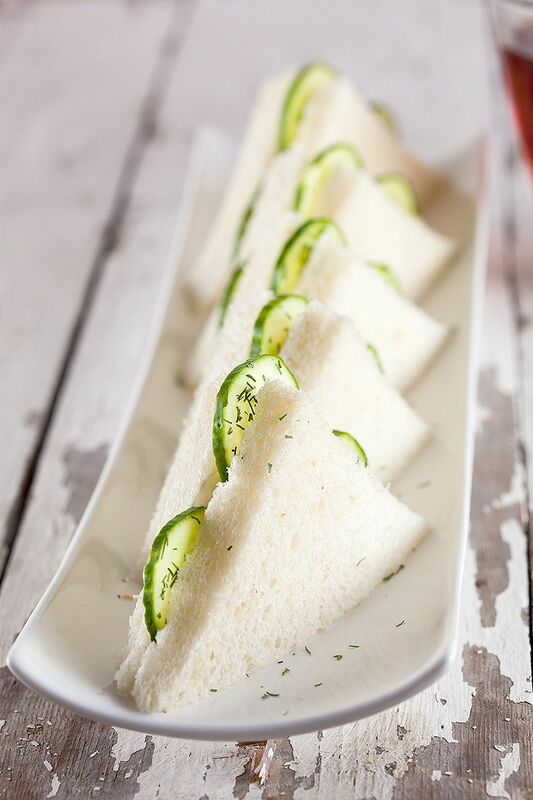 DIVIDE 3 or 4 cucumber slices on one side, add chopped chives and dried dill to each side. If you like, add some salt and pepper too. Cover the sandwich with the other half. Make yourself a nice, big cup of tea. Enjoy!